During his Presidential Year is Sussex our new Vice Chairman Ian Blackmore played several times at Wealden IBC, East Sussex and he made friends there. 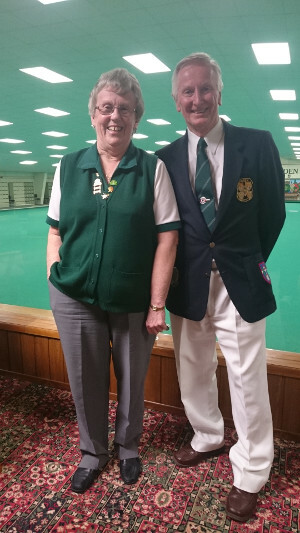 During the past indoor season the joint Club Presidents Jill Saunders and John Harriet wanted to fund raise for the BWBA. At their end-of-season AGM they asked Ian to come along and be presented with their donation. What a fantastic surprise it was for him to receive £2,100. Such terrific generosity.